Welcome to 3125 Ashlyn Street. This charming move-in-ready home is situated on a sidewalk & tree lined street near Sheraden Park in the West End. 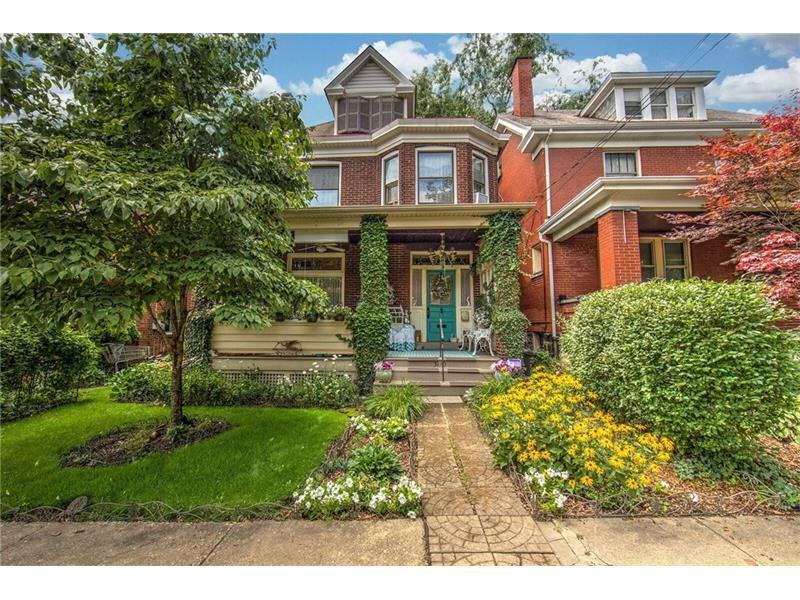 This all brick two-and-half-story ‘Pittsburgh Foursquare House’ has a lovely front porch that says “welcome home” every time you step on it. Front with transom leaded glass windows & a grand entry lead into the living & dining rooms that display beautifully restored original hardwood floors. Decorative fireplaces, crown molding, high ceilings & bay window. Eat-in kitchen with original exposed brick wall & imported floor tile. A quaint back porch overlooks the lovely private backyard. A double staircase takes you from either the kitchen or the front entry, up to the second floor where there are three bedrooms & two full baths. The staircase from the second to the third floor is where you’ll find two more rooms, bedroom number four & large storage room. Designer showcase! Just minutes to downtown Pittsburgh, shopping, restaurants.